Thus goes the citation for President Goodluck Jonathan as he gets into the running for the first stage of the annual TIME Magazine 100 most influential people list, for 2012. The magazine has set up an online poll, for readers to decide which global figures should make the list. The final decision is made based on the online poll and TIME’s editorial board. and U.S Secretary of State, Hillary Clinton. The online poll ends on April 6. The selected 100 will be published on TIME.com on April 17. Just one more issue – is the president really just one year in office? Shouldn’t his stint as acting president count? Anyway, what do you think? 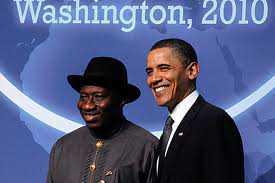 First Ngozi Okonjo-Iweala for the World Bank presidency and now our president. Good times?